I’m on vacation, currently in Marrakech after a week in France, so that’s why posting has gone silent. I’ll be back in the States later this week and will attempt to catch up on transit news. There’s been a lot happening lately, all worth some of our attention. In the meantime, the MTA is finally set to unveil a new website on Monday morning along with a new app that’s supposed to unify and streamline the agency’s various online offerings. I first caught wind of this effort a few years ago and saw an early prototype of the app a few months ago. The bones for something useful were in place then, but the MTA bureaucracy has a way of stymying the best of technological intentions. The proof will be in the pudding come tomorrow. In the meantime, read James Barron’s preview of the new app and a behind-the-scenes look at the MTA’s social media team in this Times article. It’s worth your time. I’ll have an in-depth look at the new site when in return, but feel free to share your thoughts in the comments to this post once the new site and MYmta app are public come late Monday morning. The B Division countdown clocks will be based on the current pilot underway in Manhattan. No more promises of “three to five years.” After over half a decade of promises, the MTA Board is set to vote Wednesday on a plan that would finally bring countdown clocks to the B Division trains — the subway’s lettered lines — by the end of March of 2018. Based off the current pilot running at eight stations along the BMT Broadway line, the new system will be run by Transit Wireless infrastructure and will be a part of an initiative to bring wifi to the system’s outdoor stations. It’s not based on the same signal system upgrades as the A Division countdown clocks but should cost under $32 million to install. Following Gov. Andrew Cuomo’s push to speed up the installation of the underground wireless and cell network so that all underground stations are wired by the end of this year, Transit Wireless has the capacity to implement additional technological upgrades, and the MTA and Transit Wireless are set to expand wifi capabilities at the 109 aboveground stations. The cellular carriers are on board — especially for popular stations where their networks can be overloaded — because of the ability to colocate cellular equipment within Transit Wireless base stations, and Transit Wireless is on board because this gives them an opportunity to expand their footprint in the subway system. But the wifi is just a benefit. The main attraction are countdown clocks using commercially available off-the-shelf components that won’t run the MTA a bill in the nine-figure range. The technology will utilize Bluetooth, sensors, beacons and wifi to determine train arrivals times. Each of the B division stations with two LCD screens per platform and one outside of fare control. The data will run from the beacons to a cloud-based system that will determine arrival times, and all of the data will be available in the MTA’s Subwaytime app. One way or another, Transit Wireless will bring these countdown clocks online, and if the MTA chooses to expand Transit Wireless’ wifi capabilities to the above-ground stations, the agency will save money on installation. The total installation costs for wifi and the countdown clock technology will be a little over $211,000 per station for the aboveground stations and around $54,000 per underground station (which are already wired for certain Transit Wireless capabilities). The total capital costs would run around $31.7 million with $5 million in annual operating fees, subject to a CPI multiplier each year. The low cost is an extension of the wifi expansion plan I mentioned. If the MTA and Transit Wireless don’t agree on a wifi franchise license for the aboveground stations, the train arrival boards will move ahead but at a cost of about 50% more. Eventually, the wifi capabilities are going to be necessary for the MTA’s new fare payment system, but more on that soon. Meanwhile, the agency also let slip that it is in discussions with Transit Wireless for a plan to wire the tunnels as well, but let’s not get too far ahead of ourselves. This is a pretty fast turnaround for a project we haven’t really been expecting. In spite of a funding request in the current capital plan, the MTA has given no indication that a systemwide plan was in the works. The BMT pilot came through via pressure from the governor’s office, and an ambitious 16-month rollout seems set to follow. It may not be the perfect system — but it’s far better than the current non-existent system. And after years of hearing that B Division countdown clocks are still three to five years away, we can say with some certainty that, if all goes according to plan, B Division countdown clocks are now just 16 months down the tracks. The MTA launched a 90-day pilot bringing these countdown clocks to eight stations in Manhattan. Among the transit cognoscenti, the promise of countdown clocks on the B Division has always seemed frustratingly out of reach. While the A division — the numbered lines — received countdown clocks as part of a signal upgrade a few years ago, the upgrades for the lettered lines are still decades away. Meanwhile, every few months, the MTA would promise some sort of interim solution in “three to five years.” Well, three to five years may finally have arrived as the MTA and Governor Cuomo announced a Bluetooth-based, eight-station 90-day pilot program for B Division countdown clocks. The pilot — along the BMT Broadway line (N, Q, and R trains in Manhattan) — will feature to-the-minute countdown clocks with similar information as the ones on the A Division share but a different design. The information will be delivered from data transmitted by Bluetooth receivers on the trains to those on the platform and then fed into the digital displays. The countdown timers won’t be based off of data received while trains are in between stations so precise train location will still be an unknown, but the data should be reliable enough that passengers won’t know the difference. The new clocks rely on technology that is straightforward, cost effective to deploy, and does not require large infrastructure. The system uses the existing wireless network in the stations and cloud computing, and involves four Bluetooth receivers placed in each station, two at each end of the platform. These receivers communicate with four Bluetooth devices that have been installed in the first and last cars of each train set running on the line. As the train enters and leaves a station, the system uses its arrival and departure time to estimate the time at which the train will reach the next stop in the line, and display the arrival times on the two LCD display screens that have been installed at each station. The new displays, as you can see from the photo above, will feature the countdown timers but can also show PSAs and other contents (such as ads) concurrently, solving a major design flaw inherent in the current two-line displays. Now, when the MTA wants to issue a not-so-important message from the NYPD, it can do so on the portion of the screen that doesn’t include the countdown information. The governor says these clocks will ultimately be installed at all 269 stops along the lettered lines, but it’s not clear on what timeline these could be rolled out or at what cost. It is markedly cheaper than the CBTC upgrades, but unlike the CBTC upgrades, Bluetooth-based countdown clocks don’t increase service. They are a customer satisfaction measure through and through, one that both is welcomed and shouldn’t have taken so long to realize. But with Cuomo’s push to roll out Transit Wireless at all underground stations by the end of the year, this style of countdown clock became feasible. It is not yet clear how these could be deployed in stations that are above ground. Installing wifi at all underground subway stations by the end of the year; bringing mobile ticketing to the LIRR and Metro-North within six months and a form of contactless payment to the subways by 2018; completing B Division countdown clocks by 2018; speeding up station rehabilitation work and overhauling the look and feel of our subway stations — all are noble goals and all were part of Gov. Andrew Cuomo’s agenda for improving the MTA and attracting more New Yorkers to mass transit. But following a press event high on lofty rhetoric about increasing transit use, the proposal seemed to indicate that the governor doesn’t understand exactly what the city’s pressing transit needs are. 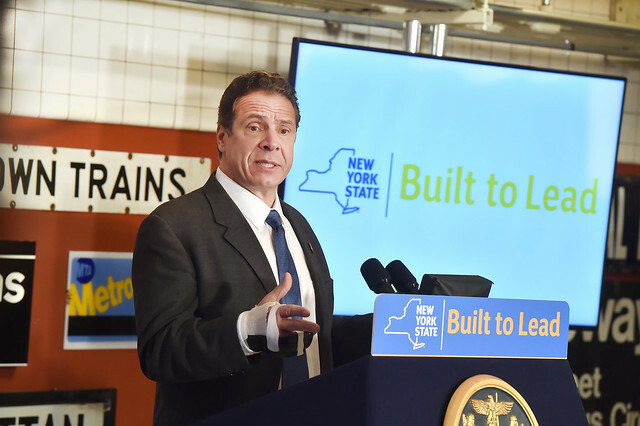 After spending a week criss-crossing the state, announcing a spate of infrastructure projects that will affect New York for the next decade, if not longer, Cuomo found himself Friday morning out of his element. The last stop on his whirlwind tour was the Transit Museum, a perfect monument to best laid plans that often go awry. During Friday’s announcement, Gov. Cuomo played headliner to MTA CEO and Chairman Tom Prendergast’s undercard. In a later press gaggle, Cuomo admitted he doesn’t take the subway as often as he used to and explained that he’s “not an expert an international expert on the best transit systems.” He has consultants who are, he noted. He unequivocally said that mass transit growth is the way forward for downstate New York growth, but he made these statements amidst a monument both to New York City past and to a future that never was. After all, the Transit Museum lives in a 1930s-era subway station that was supposed to be the Brooklyn portal for a Second Ave. Subway still not completed. What better place to try to hold back a flood by sticking a proverbial finger into a dike? The MTA investments Cuomo and Prendergast announced are badly needed for purposes of modernity and will improve MTA operations. If Cuomo can prod the MTA to complete a series of seemingly stalled technological improvements the MTA has been trying to launch for a decade or more, his program will be judged a success. But as with the Penn Station plans, without an ongoing and far-reaching commitment to expand transit capacity, these subway projects too will look like political lipstick for our proverbial pig. The MTA and Transit Wireless have installed service at around half of all underground stations, and the rollout for the other half was supposed to wrap in 2017. Now, that timeline will be accelerated so full underground connectivity will be achieved by the end of this year. Tunnels will not be wired, but riders waiting for their trains will be able to takes calls and connect to the Internet at every underground station. Coming Soon: QR codes for your smart phone. 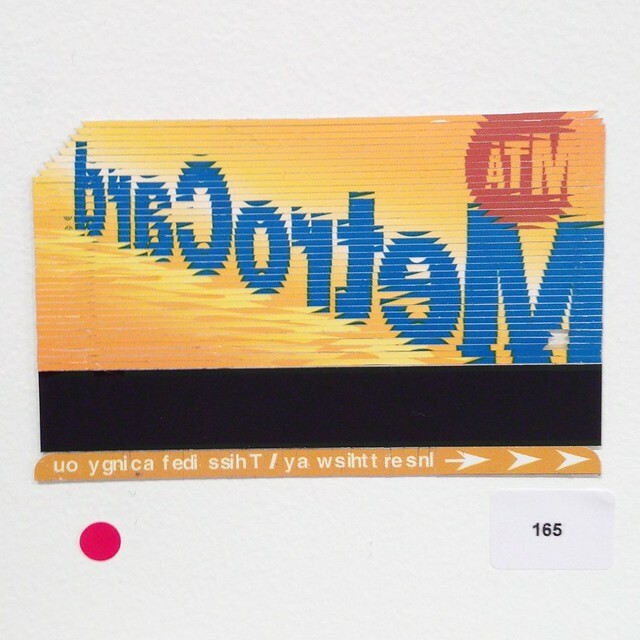 We’ve heard about the MTA’s Metrocard replacement efforts for years, and while the wheels are spinning, the ball isn’t moving forward. Now, Cuomo and Prendergast say the subways will begin accepting contactless payment system in 2018. Renderings show a QR code-based reader that isn’t exactly a cutting edge technology, and Prendergast later noted to reporters that this reader system may be an interim solution on the way to a full overhaul of the fare payment technology. Until we know more about this plan, I’m not convinced it’s the right approach, let alone a cure-all, to an ongoing problem. Metro-North and the LIRR will offer mobile ticketing by the end of the year — so I assume Cuomo is confident he can solve the labor problems that have been a barrier to implementation on the LIRR. Countdown clocks — and the lack thereof in many stations — took center stage, and Prendergast said the MTA would wrap installation of B Division (that is, the lettered subway lines) countdown clocks by the end of 2018. Cuomo’s subsequent press release hedged on the date and simply said the MTA will “accelerate” installation but didn’t include a timeline. This is a promise from the MTA to continue to do what it has long said it would do but perhaps on a faster timeline maybe. Cuomo and Prendergast also announced a laundry list of other proposals focused around “improving the customer experience.” These include USB charging ports on subway cars and new buses, wifi-enabled buses, and additional digital information screens including more On The Go kiosks and Help Point intercoms. Finally, in a move that generated a lot of questions, the MTA announced a new approach to station rehabilitation efforts. Instead of stop-and-start weekend work and only partial closures, the MTA, at the request of its contractors, will close stations for concentrated periods of time to speed up the timing and efficiency of station work. Inspired by the Montague Tube work and in conjunction with its contractors, the MTA feels it can be more efficient in this system repair work by closing stations for weeks (or months) at a time rather than suffering through years of weekend diversions. In fact, the agency does this now, but usually only at stations around the edges. Tom Prendergast discussed this focused effort. “In many cases the customers say its better that for 6-8 weeks, I need to do something different rather than for 42 weeks on weekends and nights our lives are totally disrupted,” he said. As part of this effort, the MTA will tackle 30 stations over the next three-to-five years. Most will be finished by 2018 with a few trickling into 2020. It’s not clear whether these are in addition to the 20 stations identified in the five-year capital plan or encompass those 20 stations that were due for rehab work. In conjunction with this work, the MTA will “revamp the design guidelines for subway stations to improve their look and feel” and implement this new plan at these 30 stations. The plans will include “cleaner, brighter stations [that will] be easier to navigate, with better and more intuitive wayfinding, as well as a modernized look and feel.” Considering these stations are all single- or side-track platforms that aren’t hard to modernize, this philosophy sounds better tailored to overhauling transfer points or big hubs, but a fresh look is a welcome development. Already, New Yorkers in Astoria and Clinton Hill, to name a few neighborhoods, are worried that station closures will negatively affect their rides, and in part, there is no way around this work. But this should limit disruptions to concentrated time periods, and Prendergast said the MTA is “not just shutting elements of system without worrying about impacts.” Thus, adjacent stations won’t be closed at the same time, and riders may have to use a station a few blocks away than they’d like. “Number one: reliability. Number one: when the trains says it’s coming at 12:07. You know what that means? It means the train has to come at 12:07. Not 12:08, not 12:10, not 12 – 12:07! Its reliability, first. Accessibility, second. Third: the comforts that we expect. I don’t wasn’t to get in a train and feel like a sardine for an hour and a half on the way to work. I don’t want to do that. I want to be able to sit in the seat, I want to be able to listen to my music, I want to be able to make the telephone call, connected to Wi-Fi…. In the press gaggle after the event, Cuomo expanded on this vision. “The MTA system has to be better than it is today. It has to be more reliable, more comfortable. We want people getting out of cars and into mass transit, and we have to make that as easy as possible,” he said. “We’re not going to grow downstate with people getting into cars and commuting. We’re not going to build more roads and we shouldn’t build more roads” in the New York City area. These are all noble goals that should be at the forefront of New York City transit and transportation planning, but none of what Cuomo announced on Friday accomplishes these goals. Riders want wifi but riders also want space on the subway and more frequent trains that go to more places. When the MTA wraps work on the Second Ave. Subway this year, its only remaining big-ticket capital project will be East Side Access, a project that does nothing to expand the reach of the subway system. If Cuomo is intent on delivering a reliable system that “allow[s] a growth and an expansion that far exceeds anyone’s expectations,” USB charging stations and countdown clocks won’t bridge that gap. Knowing that my train is 12 minutes away doesn’t make it emptier or faster. So, yes, the MTA deserves some praise for trying to get out of its own way on technology upgrades, and reenvisioning the station environment is long overdue. (London’s new Design Idiom could be a constructive starting point.) Streamlining station rehabilitations too is praise-worthy, but the lofty rhetoric of improving public transit and increasing modeshare doesn’t align with USB chargers and wifi as the headliners. What we would need is a firm commitment to lowering construction costs to better align with international standards, a firm commitment to future phases of the Second Ave. Subway and a firm commitment to improving outer borough connectivity (such as Triboro RX, a Utica Ave. Subway, a connection to Staten Island or countless other projects that have been suggested and studied over the years). Additionally, paying for all of these initiatives remains up in the air. Cuomo indicated that the MTA’s capital plan will be funded, in part, via debt, and the agency is sinking further into a debt black hole that will drive up costs borne by riders. It too is an untenable situation that will eventually undermine Cuomo’s rhetoric of increasing ridership and reach. A few times this week during his New York tour, Cuomo referenced Robert Moses as part of his inspiration. He wants to build and get something done. He wants to be known as a governor who could accomplish things. But his words should give us pause. His philosophy, he said, is based getting things done, with less regard for long-term goals and more for ribbon-cutting. “Did you build a new station? Did you build a new bridge? Did you build a new tunnel?, he said” “That’s how they’re going to judge you.” Turning on wifi a few months earlier than planned is a pleasant surprise, but it sure isn’t a new subway line, more frequent service or all that transformative no matter what the governor says. Whither those B Division countdown clocks? A few weeks ago, I first linked to The Atlantic’s lengthy piece on New York City Transit’s technological woes. At the time, I examined the trial and tribulations of bringing communications-based train control online and highlighted how the MTA’s current approach is both impossible to sustain and inefficient in its execution. It is the classic story of a large and conservative bureaucracy unable to adapt to technological change, let alone a fast pace of adaption. Let’s dive back into the piece and explore the countdown clock conundrum. As you may recall, James Somers initially set out to write about why only the A Division subway lines — the numbered routes — have countdown clocks while the B Division trains — the lettered lines — do not and will not for the foreseeable future. He also wants to understand why the A Division countdown clocks arrived years late. It is, he writes, “the story of a large organization’s first encounter with a large software project.” As you can imagine, it hasn’t gone particularly well for the MTA. The MTA’s attempts at bringing the ATS system to the larger B Division faltered three times during the first decade of the 21st Century, and instead of trying to speed up the pace of installation of the CBTC system which would, as an ancillary benefit, introduce countdown clocks systemwide, Transit is again looking at a piecemeal solution. Again, it’s not working. At this point, Somers comes up short on a solution. He properly cites to BusTime, the MTA’s greatest software success story, as an example that the agency has had a few people at various times with the ability and trust to do something in-house. But those involved in the original creation and implementation of BusTime have long left the MTA, and Jay Walder, the CEO who was willing to give BusTime a shot, was forced out over his apparent lack of political savviness in dealing with both Albany and the TWU. So what comes next? Certainly not countdown clocks on the B Division trains any time soon, and certainly not much faith that the MTA can execute complex technology upgrades in a timely or efficient manner. The MetroCard replace is on tap and could suffer from the same fate. Meanwhile, everything is years late and millions of budget. When it’s going to take the better part of a century to bring CBTC to the entire subway line, in the end, do we have any real hope that, without a top-to-bottom organizational overhaul, the MTA can execute on projects that are standard throughout the world? I’m not sure anyone really likes the answer to that question. Despite journalistic claims of objectivity, some of the best reporting happens when a writer pursues something personal. In this instance, James Somers wanted to know why his F train stop at Carroll St. didn’t have countdown clocks, and what he undercovered made for a massive piece in The Altantic on the dreadful state of the MTA’s technology and its efforts at modernizing. As you may imagine, what Somers found is an agency beset by institutional paralysis, on the one hand, and a fear of taking any risks, on the other. What Somers uncovered is an open secret amongst the transit literati. The MTA admits it to those who ask, but it’s rarely publicized. The truth is that the F train — and all B division trains — do not have countdown clocks because the MTA doesn’t know where the trains are. The fixed-block signal system doesn’t allow for MTA operators or individual towers to identify which trains are where, and those non-stop signal problems we hear about can, the MTA says, be caused by something as innocuous as debris on the tracks. …The second was a fear of change. It costs $168,000 per track-mile per year to maintain trackside signals, 90 percent of which is spent on labor—much of it done overnight and on weekends, qualifying the workers for overtime. If those signals were eliminated, millions of dollars could be saved each year. But New York decided to run CBTC on top of a reduced form of the old fixed-block signaling system, requiring that both be expensively maintained, despite evidence from other cities that no backup was necessary. (In Vancouver, the SkyTrain has had no CBTC-related accidents in more than 26 years.) And the fact that the two systems had to work together—requiring the supplier to study the old signals in depth—became a major source of delays. So what we see here in this one little excerpt from a much longer story is an insight into why the MTA can’t seem to bring technology innovation to our system in a timely fashion and, in part, why everything costs so much. If we are to reform MTA practices and get more (or perhaps any) bang for the massive amounts of capital bucks to which the agency now has access, we’re starting to understand the best places to start. More coming later when we look at how Somers explains the countdown clock conundrum. In the meantime, be sure to check out the full article. It’s well worth the read.